MarineMax Inc (NYSE: HZO) shares tumbled 20 percent to $15.80 after the company reported downbeat Q3 results and lowered its FY17 earnings outlook. China Lending Corp (NASDAQ: CLDC) shares dropped 19.1 percent to $2.60. A Schulman Inc (NASDAQ: SHLM) shares declined 18.7 percent to $25.30 after the company cut its FY17 adjusted earnings forecast. Smart Sand Inc (NASDAQ: SND) fell 16.2 percent to $6.60. Credit Suisse downgraded Smart Sand from Outperform to Neutral. Insteel Industries Inc (NASDAQ: IIIN) shares dipped 15.2 percent to $27.50 on Q3 results. Insteel reported Q3 earnings of $0.36 per share on sales of $96.9 million. Adomani Inc (NASDAQ: ADOM) shares declined 12.5 percent to $9.20. Fairmount Santrol Holdings Inc (NASDAQ: FMSA) shares dropped 11.4 percent to $3.43. Credit Suisse downgraded Fairmount Santrol from Outperform to Neutral, while Goldman Sachs downgraded the stock from Neutral to Sell. Inovio Pharmaceuticals Inc (NASDAQ: INO) shares tumbled 10.6 percent to $6.06 after dropping 13.41 percent on Wednesday. Inovio priced its 12.5 million share offering at $6.00 per share. Alliance Data Systems Corporation (NYSE: ADS) dropped 9.8 percent to $237.73. Alliance Data posted upbeat quarterly earnings, but sales missed estimates. Alliance Data lowered its FY17 core earnings outlook. Benchmark Electronics, Inc. (NYSE: BHE) fell 9.2 percent to $ 31.75. Benchmark Electronics reported Q2 adjusted earnings of $0.38 per share on revenue of $617 million. Pool Corporation (NASDAQ: POOL) shares declined 9 percent to $107.29 after reporting downbeat Q2 earnings. Stewart Information Services Corp (NYSE: STC) fell 8.8 percent to $42.26 as the company posted weak Q2 results. PTC Inc (NASDAQ: PTC) dropped 7.8 percent to $54.32 after the company issued a weak outlook. Regulus Therapeutics Inc (NASDAQ: RGLS) shares fell 7.3 percent to $0.890. Regulus announced the pricing of public offering of common stock. Check Point Software Technologies Ltd. (NASDAQ: CHKP) shares dropped 7.2 percent to $ 107.34. Check Point posted upbeat Q2 earnings. The company expects Q3 adjusted earnings of $1.18 to $1.28 per share, on revenue of $430 million-$465 million. Analysts were projecting earnings of $1.28 per share on revenue of $463 million. Western Gas Partners, LP (NYSE: WES) shares fell 6.2 percent to $53.15 after gaining 0.51 percent on Wednesday. 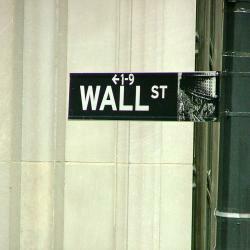 Gladstone Commercial Corporation (NASDAQ: GOOD) slipped 5.9 percent to $20.44. Gladstone Commercial reported a common stock offering. C.H. Robinson Worldwide Inc (NASDAQ: CHRW) shares fell 5.5 percent to $64.93 after the company posted downbeat Q2 profit. QUALCOMM, Inc. (NASDAQ: QCOM) fell 5.1 percent to $53.89. QUALCOMM reported a 40 percent profit slump as it remains embroiled in a patent battle with Apple. The company posted upbeat earnings for its third quarter, but issued a weak earnings forecast for the fourth quarter. ABB Ltd (ADR) (NYSE: ABB) fell 3 percent to $24.37 after the company reported Q2 results.